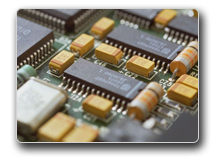 As a leader in the embedded market, Advantech excels in all levels of project development, especially to qualify new designs during the testing phase. Further, we assist with logistics and can help you ramp-up production efficiently. Advantech business and production strategies ensure that you achieve crucial time-to-market schedules. Advantech holds the most complete ISO certifications in the IPC industry compared with all other IPC manufacturers, ensuring our capability to manufacture products from different industries and our commitment to worldwide regulations and standards compliance. Our facilities and products carry at minimum ISO 9001 and 14001 certifications while others hold additional certifications such as ISO 13485, 17025, TL9000, ISO/TS 16949, OHSAS18001, RoHS and QC080000. Advantech DTOS is your best partner for project development, especially during the project testing phase, where our efficient methods help realize a faster time-to-market. Modular design is a technique that emphasizes separating the functionality of a product design into independent modules. Several designers can work on individual designs at the same time, thus, making development of products faster. Such a design base leads to a structured approach as a complex product design can be broken into simpler modules. Advantech offers qualified embedded feature modules for customers to choose and quickly design an industrial motherboard according to custom demands. Customers can easily leverage existing knowledge to develop their own products with less effort and time. As a result, DTOS customers can market their products much earlier, gaining a competitive edge in quicker time-to-market. As awareness of product reliability increases, so does the responsibility of the provider to ensure that reliability requirements are met. 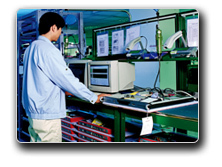 Product reliability is of upmost concern at Advantech. Modular design infrastructure and a complete line of safety, EMC and reliability measures such as ESD, vibration, drop testing, temperature, humidity and HALT chambers are available to ensure our products meet the strictest standards. 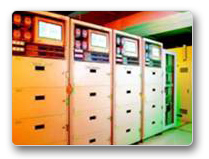 Advantech provides consulting and testing services to ensure products are in compliance with global regulations. Since Advantech works closely with regulatory agencies, we make sure that the product's time to market is minimized by examining compliance and regulatory requirements at all time. The results are documented and provided to regulatory agencies for certification. To ensure product quality, Advantech DVT (design validation test) team designs and carries out validation tests on the product. Advantech in-house laboratory is accredited with ISO 17025 which assures product's testing and calibration quality. 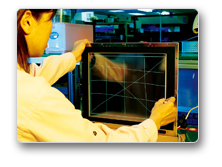 The laboratory is equipped to perform tests on products under different mechanical environments and temperatures. After receiving the system specifications from the customer, Advantech's engineers will perform an early analysis of DVT requirements on the specs given. 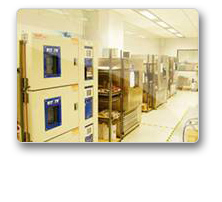 The results then are used to devise a validation test plan and build the required custom fixtures and test systems. Advantech has the global manufacturing capability and flexible capacity to provide the quantities of product required by its customers. With our closed loop mechanism to ensure quality issues can be resolved by going back one or more steps to find out the root cause of a problem. 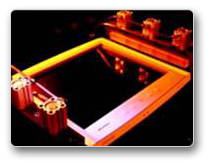 Product qualification testing is performed, which will be used to certify the design and meet customers' specifications and quality requirements. Advantech's comprehensive experience, and long list of pretested components and certified vendors help speed this phase of development. We are confident in our ability to achieve overall customer satisfaction, and we strive to make continuous improvements in order to ensure customers will receive only the highest quality products with prompt service.